Luxury travel company Abercrombie & Kent has just released its 2014 brochure for polar expeditionary cruising. 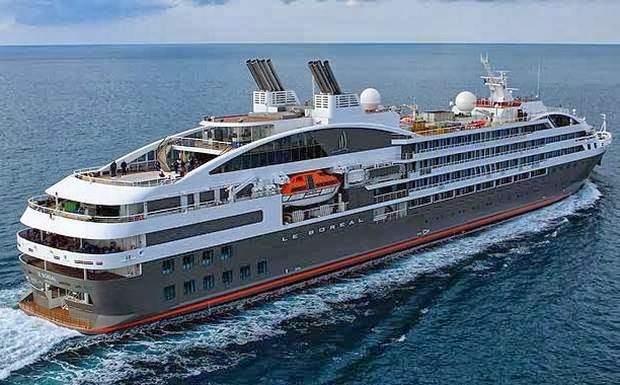 Created by on-the-ground experts, led by a remarkable expedition team of research scientists and naturalists and operated exclusively by A&K on board luxury cruiser MV ‘Le Boreal’, the voyages in this brochure reveal the polar reaches at their astonishing best. A&K has more than 20 years’ experience operating polar expeditions. Since the first exploration to Antarctica 23 years ago, crew and staff have been hired for their unparalleled experience in both the North and South Poles. The company has an immaculate safety record, successfully completing more than 175 expeditions and each expedition team member has more than 18 years’ experience on average. technologically advanced stabilising system also minimises the effect of rough seas. 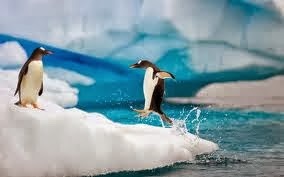 AntarcticaA journey to Antarctica is one of the world’s great adventures. It is an expedition to the harshest, driest and coldest region on the planet - the world’s most remote and final frontier. There are four Antarctic expeditions on offer for the 2014-15 season. Each visits the wildlife rich Antarctic Peninsula, with two adding on South Georgia and the Falkland Islands as well. Journeys are themed, with a special family expedition over Christmas and New Year and a Climate Change mission trip plus two photographic journeys. A&K’s 12-day ‘Classic Antarctica’ is priced from USD $9,995 per person twin share with the Early Booking Discount applied. N.B. Early booking discounts only available in cabin categories 1-3 for bookings made by 28 February 2014. East Greenland. Look for polar bears in their natural habitat as well as incredible fjords, volcanoes, fishing villages and remarkable landscapes. A&K’s 12 day ‘Polar Bears & Midnight Sun’ cruise is priced from USD8,995 per person twin share with the Early Booking Discount applied. N.B. Early Booking Discount only available in cabin categories 1-3 for bookings made by 30 November 2013. A&K Special OfferBook A&K’s 15-day Best of Argentina and Chile before 20 December 2013 and save up to $5,035 per couple.